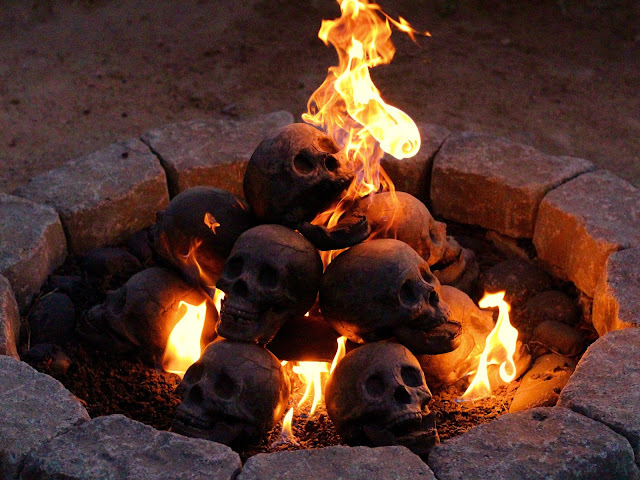 Imagine going over to someone's house and seeing what looks like a human skull burning in their gas fireplace or fire pit! Wouldn't that utterly creep you out, perhaps send you fleeing towards the door? These skull logs are fairly expensive, but should last quite a long time.